Love is in the air, and at the leading Devon wedding venue Bickleigh Castle we are very excited for Valentine’s Day! 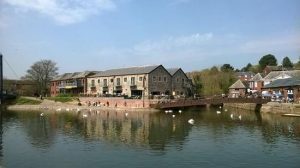 So excited, in fact, that we’ve put our romantic hats on to compile this list of top restaurants so you can get ideas for your dream valentines date ideas Exeter. These guarantee the most wonderful night out this February 14. Going on a first date? Taking the boyf/girlf out for the night? Treating the wife or hubby? Or perhaps you are stuck for ideas on what to do? Whatever your plans (or not plans), our restaurant selection will ensure your night goes off with a bang. Treat yourself and your other half to a delicious three-course meal and toast your champagne glasses to this wonderful day of the year! 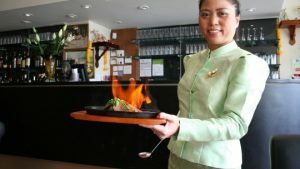 Rated 6th out of 507 places to eat in Exeter, the Jasmine Thai restaurant serves delicious Thai food, and is perfect if you are looking to turn up the heat on valentines day. 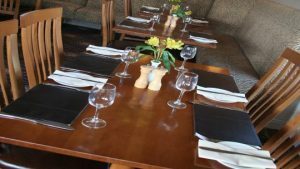 Featuring French and Mediterranean influences but a selection of traditional style English dishes, blending hearty comfort food with light, imaginative gourmet dishes all made using high quality ingredients, often from the surrounding countryside. Book the Puffing Billy for you memorable valentines date. 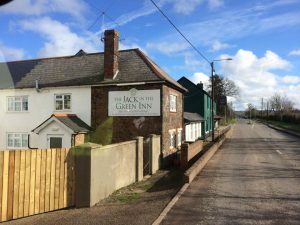 They offer a dynamic, seasonal menu of locally sourced produce inside a cosy, recently revamped stylish interior. 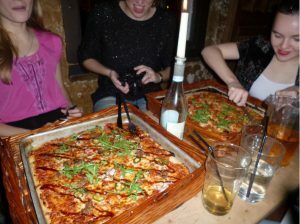 Eating huge pizzas may not be the most romantic dining experience in Exeter but the cosy and candle lit tables definitely make up for it. 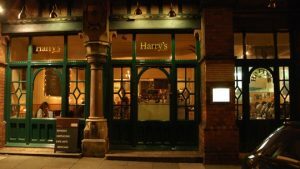 Situated in the town centre Exeter Harry’s Restaurant and grill is a top choice for a relaxed atmosphere. 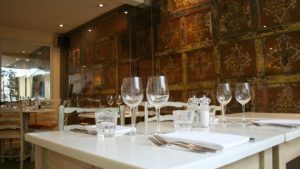 Nothing is more romantic than an italian meal with a glass of champagne, so book a table a Bella Italia in Exeter. A South American themed restaurant with a carnival of Latin colour set to ignite your senses. 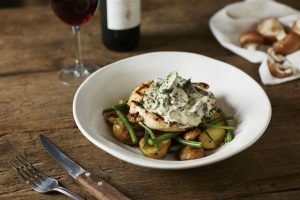 Las Iguanas Exeter has a diverse menu sizzling with all the classics alongside our legendary cocktail menu to bring extra sparkle to your Valentines date night. 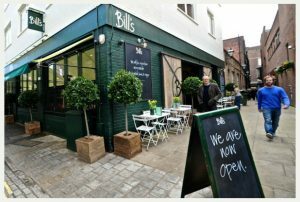 Bill’s have a wide range of food’s on the menu and is a perfect getaway for parents to have a casual dinner and glass of wine away from the children. Crafting beers and delicious smokehouse-style food. 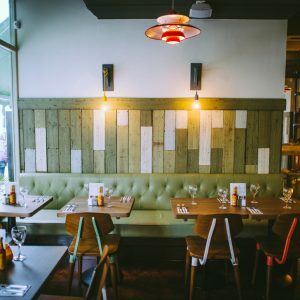 Smoked and cured in-house and cooked on chargrills and barbecue ovens our imaginative, tasty dishes fit perfectly with our contemporary, stylish and fun warehouse surroundings. We specialise in exclusive weddings, so you can book your 2017/2018 wedding and relax in the beautiful Devon countryside on your BIG DAY.